The team arrived late last night after some very long flights. Today we started our day with a team meeting where we did our usual round of introductions to get to know each other and then discussed the game plan for our upcoming 11 day adventure here in Ecuador. After the meeting we headed out on the town to explore this beautiful historical city with our local and very knowledgeable tour guide Angel. 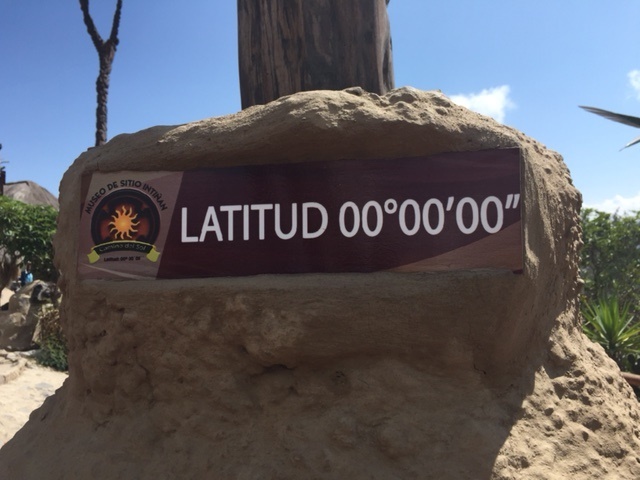 We first headed north to visit the Equator from which Ecuador gets its name, stopping by a museum that had a pretty interesting collection as well as some unique test that attempt to prove it’s the actual middle of the world. Then we headed to the southern part of Quito to a big hill called La Panacia that over looks this beautiful city. Normally we get to visit the oldest part of Quito, but today is the Holiday celebrating the founding of Quito and many of the street were closed for the festival. So we opted for a visit to the Basilica, built in gothic style, and managed to climb nearly to the top, via the steepest stairs any of us had ever been on. Pretty cool to say the least! We wrapped up the day with a quick gear check to make sure everyone has all the gear needed for our climbs. Then it was off to dinner at a nice restaurant where we were enjoyed getting to know each other better.